This is an example of retail packaging. In this project we worked with Lorna Vanderhaeghe Health Solutions to come up with the outer packaging for her women’s health products. 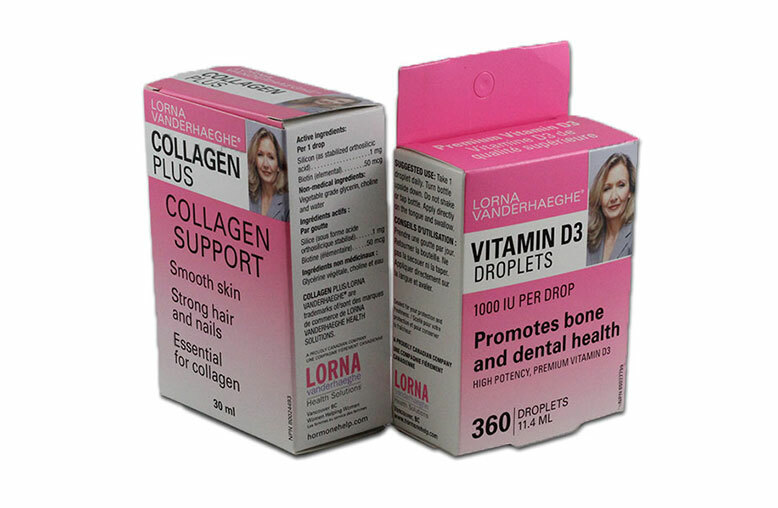 These folded carton boxes were use for her Vitamin D3 Droplets and The Collagen Plus products. For any questions regarding retail packaging or folded carton boxes please contact us.